A weekend away for just the two of us, Capt ad Belle. With Tilly and Jeff safely looked after by friends we grabbed the opportunity for some rare time to ourselves, and where better than on our boat. We wern't fussed about a pub so we stocked up on an Asda curry plus wine and a nice pudding. We chugged down to Autherley Junction and then up the Shroppie to a good spot just beyond the M54 bridge. The location is by bridge 7, just before Chillington Wharf, sheltered by a stand of trees and just far enough away from the motorway to lose the drone of tyre noise. 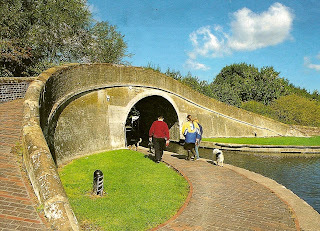 A cracking spot we have used regularly and one which is quite popular with local boaters. Times away without the kids are very precious and need to be grasped wherever possible.